Families can enjoy a twilight picnic and interact with the local wildlife on August 14 at Blandford Nature Center. Call 616.735.6240 to reserve a spot for the Twilight Family Picnic with Wildlife Exploration. Blandford Nature Center will host its first Twilight Family Picnic with Wildlife Exploration on August 14. The event will start at 5:30 p.m. and end at 7:30 p.m. The program costs $3 for members and $6 for non-members. Families are invited to bring their own blankets and picnics. 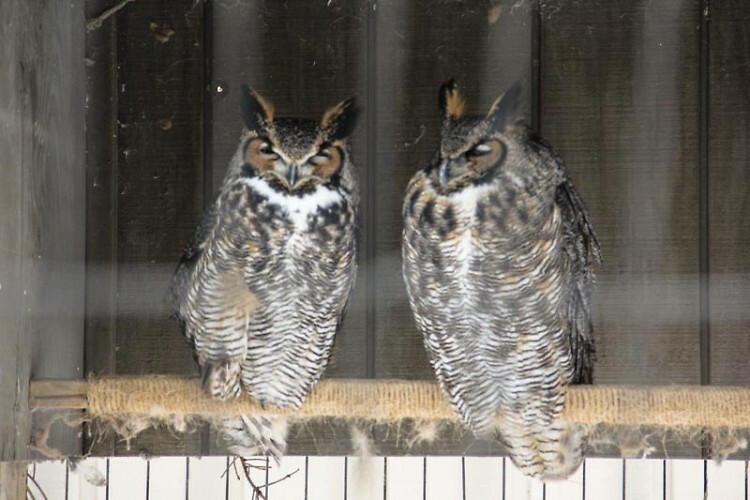 Blandford staff will be on hand during the event to give participants up-close encounters with resident animals such as barred owls and Eastern screech-owls. Event coordinators also hope to include an evening scavenger hunt to allow families the chance to experience seeing animals in the wild in addition to those in permanent residence at the nature center. “We are going to keep our eyes and our ears open for the sounds and sights of Blandford in the evening,” says Education Intern Katelyn Nettler, who will be conducting the program. “We'll focus on frog calls, lightning bugs, astrological events that are happening around that time—I think there's supposed to be a super moon—and calling for owls using our identifier." Registration is required to take part in the event, and the number of participants is limited to about 20 people. Nettler says that families should call and reserve their spot as soon as possible. If there is enough interest, organizers hope to make the Twilight Family Picnic with Wildlife Exploration an annual event for the community to enjoy. “We're trying to encourage families to explore nature in their backyard," says Education Program Director Jennifer Brown. "Literally in their own backyard, but also in Blandford Nature Center, which kind of is the backyard for most people who live in the area." Brown says that another intent of the event was to give parents who work on weekdays during the nature center's regular hours more opportunities to visit Blandford. It is also a unique opportunity to experience the property at night. "Oftentimes families and parents are not able to access this side of Blandford," she says. "Holding something between the hours of 5:30 to 7:30 gives them an opportunity to explore it beyond a weekend where they normally would."